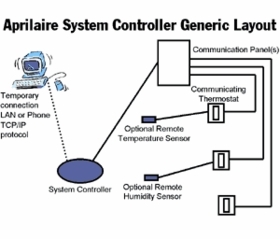 Sophisticated whole-home automation systems are making the home of the future a reality. Today’s homes are being built with even the most basic automated systems such as home security or lighting systems. 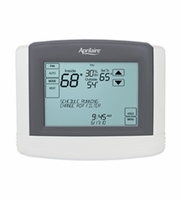 Aprilaire’s Communicating Thermostats are capable of seamlessly integrating into those systems, so instead of using a thermostat to just control your climate needs, you can use one automation system to control your HVAC, lighting, security, audio/video and other home automation needs.